Driven, presumably, by the ubiquitous infiltration of superheroes and costumed villains into every walk of our pop culture lives, comic books have reached their highest circulation peak in more than 20 years. That’s per industry analyst ComiChron, which notes that, for the first time ever, megalithic comics distributor Diamond has published its monthly figures, announcing that it sold more than 10 million copies to comic book retailers in August. Sales numbers like that haven’t been seen since the ’90s comic bubble, the infamous period when rampant speculation about the future value of “limited edition” books—spurred on by stories of people making thousands of dollars selling legitimately rare old comics to collectors—first inflated, and then nearly murdered, the comic book industry. Publishers responded to that sudden demand in full force, issuing variant covers, holofoil packaging, and every other gimmick they could think of to drive sales and hint at a false sense of scarcity. Once speculators realized that the only people they were going to be able to sell their shiny, poly-bagged treasures to were other speculators, though, the bottom fell out of the market, taking numerous comic book shops—and very nearly Marvel itself, which declared bankruptcy in 1996—with it. Comic book sales dropped by roughly 90 percent, a number which has—very slowly—been building back up over the last few years. This most recent spike in sales can probably be attributed to D.C.’s recent Rebirth event, which relaunched every comic in the publisher’s line last month. 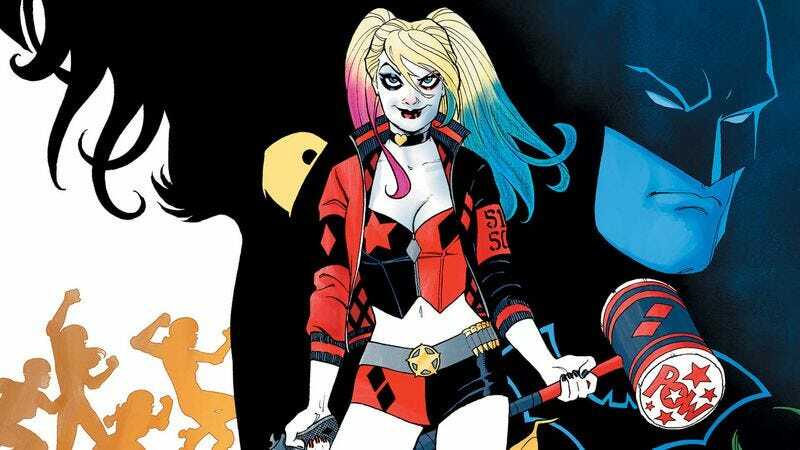 According to Diamond, nine out of the top ten comics of August 2016 were D.C. titles, with the top comic being Harley Quinn—always a popular character, and now lifted even higher by a high-profile portrayal by Margot Robbie in this summer’s blockbuster Suicide Squad.